It’s interesting to note the stories of composers whose parents approved of their vocation and compare them with composers whose musical pursuits went against their parents’ wishes. 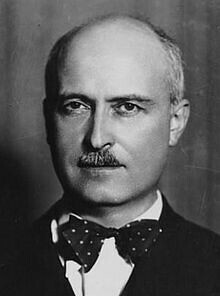 Jacques Ibert (1890-1962) was in the unique position of being supported endlessly by his mother while being completely disapproved of by his father. Some say it’s a subtle theme underscoring much of his work: an underlying sense of never quite belonging. Looking over Ibert’s catalog of works, you notice he wrote for many different kinds of ensembles and for vastly different purposes. In fact, he’s most noted for being an eclectic — never aligning himself with prevalent genres or styles yet borrowing and combining all of their elements. Ibert’s mother — an accomplished pianist — was his first music teacher. His father, a businessman, withdrew all financial support when — at age 21 — Jacques resigned from his position at his father’s company to enter the Paris Conservatoire. To provide for himself, Ibert eked out a living by working as an accompanist and writing pop songs under a pen name. Proving his prowess as an improviser, he was also employed as pianist at a silent film theater where he performed music to fit the action taking place onscreen. He went on to write over 60 film scores. Spanning many genres and media, Ibert also composed operas, ballets, concertos, and varied forms of incidental and chamber music. Manitou Winds studies his Cinq Pièces en Trio (1935) for oboe, clarinet, and bassoon. We’re soon to delve into his Trois Pièces en Brèves (1930) for wind quintet. Though he rose from obscurity to prominence during his lifetime (winning numerous awards), it is perhaps because of his refusal to pursue a single musical genre or form that he’s not on many “Top 10” lists of composers. Instead, audiences are often pleasantly introduced to him when one of his works graces a program. Hopefully his daring use of orchestral colors peppered with hidden musical surprises will continue to inspire musicians and audiences alike to seek out more of his music. A composer growing up in Paris while bridging the 19th and 20th centuries probably ate some interesting breakfasts — a mix of gourmet and eating on the cheap. In homage to Ibert’s eclecticism, I thought it would be appropriate to highlight a recipe that is simultaneously simple while betraying decidedly gourmet influence. 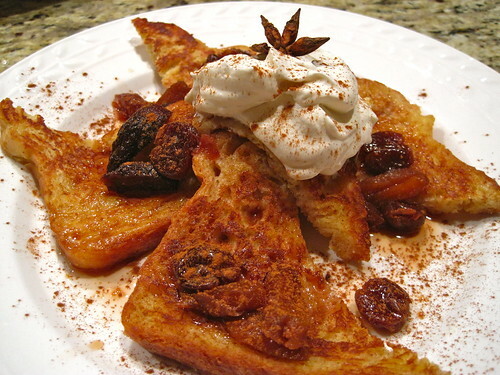 Today’s recipe is an autumn-inspired riff on classic Pain Perdu (literally “lost bread”). Dressed down, it’s just stale bread dipped in egg batter and fried up. Dressed up, it’s adorned with exotic spices and rich, complex flavors of fruit and wine. 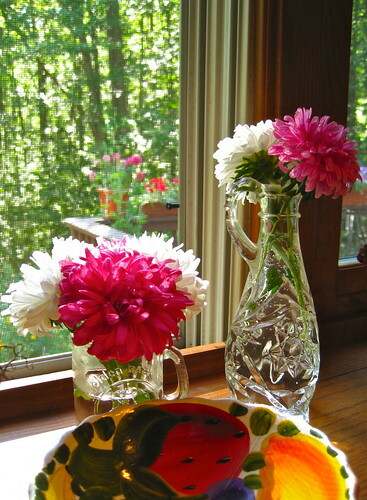 To make the Fruit Compote: In a medium saucepan combine wine, water, and sugar. Combine the cinnamon stick, anise, and cloves in a teabag or piece of cheesecloth; tie closed with kitchen string. Add spice bag to saucepan; cook and stir over medium-high heat until mixture comes to boiling. Add figs and cook for 3 minutes. Add apricots and cook for 3 minutes more. Add cherries and cook for 2 more minutes. To make Pain Perdu: In a shallow dish, whisk together the eggs, milk, maple syrup, vanilla, salt, and cinnamon. Melt half of the butter in a large non-stick skillet over medium-high heat. While the skillet is heating, dip the bread slices into the batter, turning them and re-dipping as necessary until the batter has been absorbed. Place two slices of bread in the skillet; cook approximately 2 minutes on each side or until browned. Remove from skillet (slices can be kept warm in a low oven if desired); add remaining butter and brown remaining slices. To serve: Warm the finished compote slightly. Divide bread slices between two plates. Top each with several scoops of the macerated fruit from the compote then drizzle each serving with several spoonfuls of the spiced syrup. 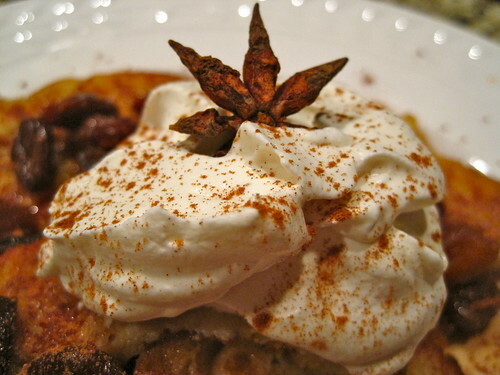 Garnish each serving with a dollop of whipped cream and a dash of ground cinnamon. For the perfect Ibert soundtrack to your whisking, dipping, and noshing, here’s one of Ibert’s best-known works: Divertissement (1929).